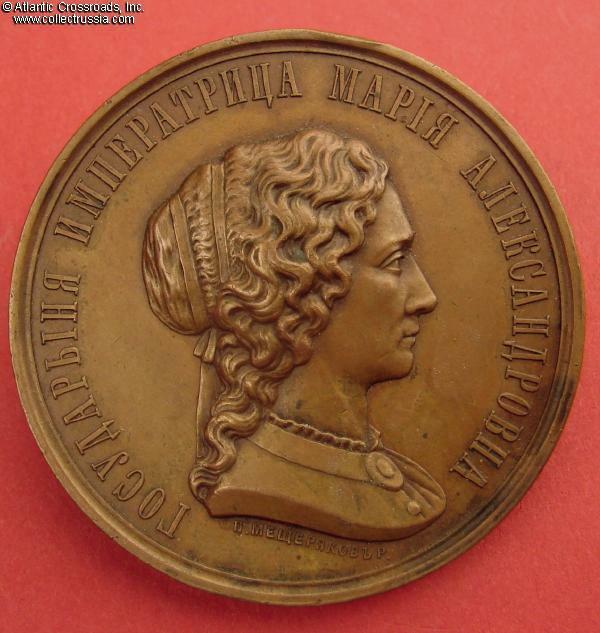 Female Gymnasiums Prize Medal,table medal in Bronze. Gymnasiums were private boarding schools for the daughters of the nobility, so deportment - both social and academic - rather than athletic ability determined the awardees. 51.0 mm wide; weighs 56.1 grams. 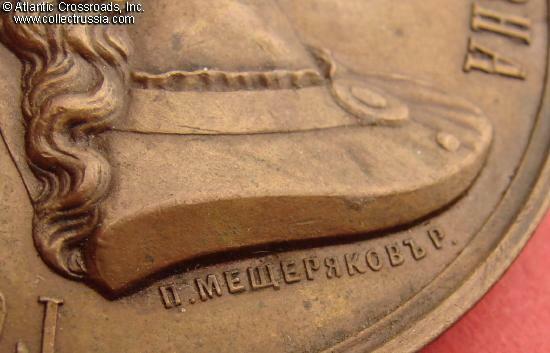 Engraved by P. Mescheryakov and V. Nikonov Obverse shows portrait of Tsarina and her name "Sovereign Empress Maria Alexandrovna". 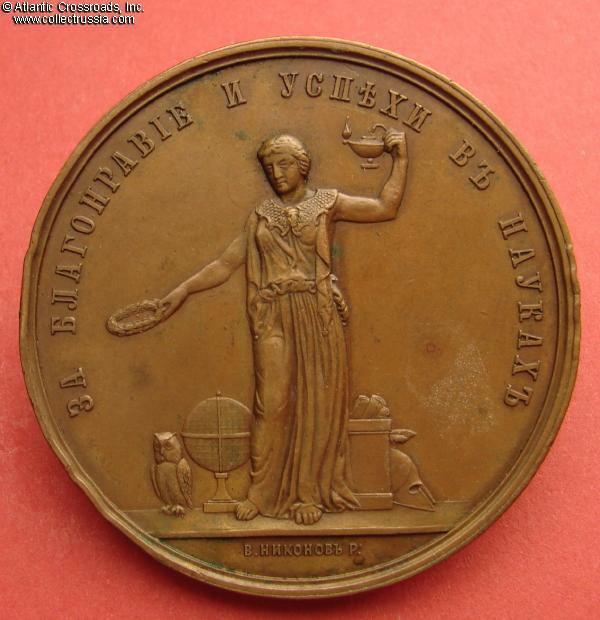 Reverse has allegorical figure and inscription: "For Good Behavior and Progress in Sciences'. Good to Fine condition. 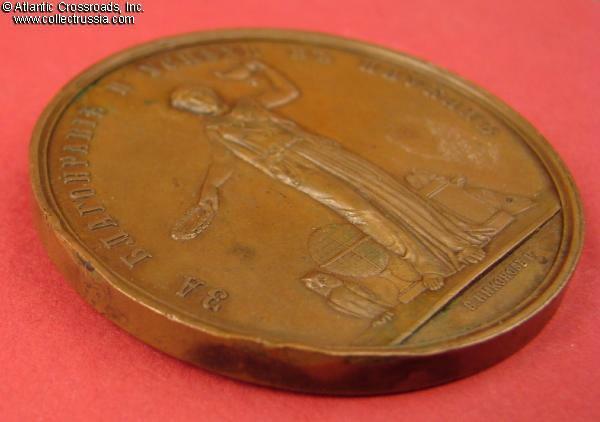 Nice color with details that are still sharp, some spots of minor corrosion that do not adversely affect the Empress' profile or the allegorical figure on the reverse, five or six edge knocks on the rim including one at one o'clock on the obverse and ones at three, seven and nine o'clock on the obverse, none of which are slightly detracting.